"Continuum" fans, your wish has come true! In an "ET Canada" sit-down interview on Monday night, "Continuum" star Rachel Nichols confirmed the Canadian original action-drama is going to return for a fourth and final season of six episodes, airing in 2015 on Showcase. "Continuum"s time-mending and mind-bending tale will continue, following a suspenseful Season 3 that ended with a cliffhanger finale, leaving fans wanting more. "All great stories deserve an end. I am excited and grateful to finish 'Continuum' with the riveting conclusion it deserves," said Nichols. "This series finale is dedicated to the devoted fans who have loyally supported us since Day One." "'Continuum’s award-winning success on Showcase is a testament to the quality of our Canadian original productions," said Christine Shipton, Senior Vice-President, Content, Shaw Media. 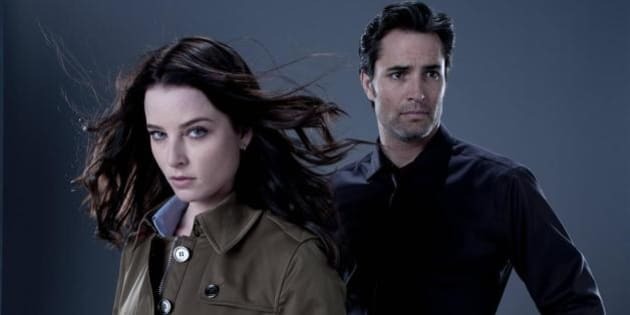 "With Executive Producer Simon Barry at its helm, the fourth and final season of 'Continuum' is bound to deliver a heroic conclusion to the futuristic series." Additional casting details will be announced in the coming weeks. Filmed on location in Vancouver, B.C., "Continuum" is developed and produced by Reunion Pictures. The series is now seen internationally in over 132 countries. You can watch the first three seasons of "Continuum" on Showcase's website. "Continuum" Season 4 broadcast dates will be announced next year.